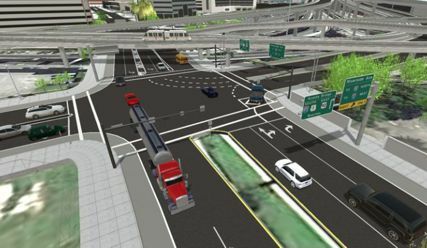 TransModeler is a powerful and versatile traffic simulation package applicable to a wide array of traffic planning and modeling tasks. TransModeler can simulate all kinds of road networks, from freeways to downtown areas, and can analyze wide area multimodal networks in great detail and with high fidelity. You can model and visualize the behavior of complex traffic systems in a 2-dimensional or 3-dimensional GIS environment to illustrate and evaluate traffic flow dynamics, traffic signal and ITS operations, and overall network performance. 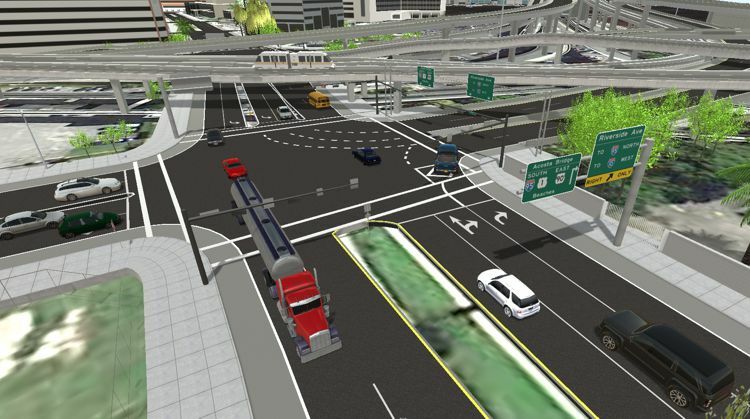 Based upon the latest research, TransModeler employs advanced methodological techniques and software technology to bring traffic simulation into a new era. TransModeler models the dynamic route choices of drivers based upon historical or simulated time dependent travel times, and also models trips based on origin-destination trip tables or turning movement volumes at intersections. It simulates public transportation as well as car and truck traffic, and handles a wide variety of ITS features such as electronic toll collection, route guidance, and traffic detection and surveillance. TransModeler works with travel demand forecasting software to provide an integrated capability to perform operational analysis of transportation projects and plans. Traffic simulation results can also be fed back for use in travel demand forecasting.